As you spend a significant number of hours of your day at work, it is important that you’re happy and at peace when delivering your duties. A healthy and happy mind enables one to work efficiently and increases productivity. That being said, not every day at work can be an ideal one as we may be exposed to elements beyond our control. To become an effective medical assistant, one needs to not only obtain proper training and medical assistant certification, but also develop a positive outlook and characteristics that complement this profession and enhance your performance. Patient care, administrative work, assistance to doctor(s), laboratory tests, and report preparation can, at times, make certain days long and hectic. Since medical practice largely concerns with patients’ well-being and life, medical practitioners have no scope for making errors that can potentially damage patients’ health. Hence, practitioners are required to maintain a stable temperament and work in the best interest of the patients, irrespective of their personal shortcomings or stressful situations. Responding to stress rather than reacting to it aids practitioners in maintaining a sense of calm and patience. Certain situations may be well out of your control. In such cases, it is advisable to accept the conditions and let go of what cannot be changed. You can recognize the source of the stress and try to keep yourself away from it as much as possible. Do get enough sleep and exercise every day for at least 30 minutes. Physical exercise makes the brain release certain feel-good chemicals. Identify what you enjoy doing – walking, swimming, cycling, dancing, etc., and indulge. Change your outlook and be more positive to help yourself respond better to stressful conditions. Do things that you enjoy. Keep yourself occupied by participating in activities other than professional endeavors during free time, and relax your mind by keeping worrisome thoughts away. Connect with family and friends to make space for other thoughts and moods, which will help release the pent up frustration and, perhaps, help you gain different perspectives of situations. Most importantly, do not vent your frustration on patients. Read a book or listen to music during breaks to find peace. Approach every patient with a smile. Knowing that you have helped someone feel better will eventually make you happy and bring you a sense of achievement. Patients visit doctors for a cure to their physical or mental discomfort. As a medical assistant, you may be the first point-of-contact for them. You must, therefore, be able to handle ailing patients and make them feel comfortable and safe. It is essential for practitioners to win the trust of their patients and create a healthy working rapport with them. This enables patients to open up and talk freely about their symptoms and health issues. Be a good listener and allow patients to share their concerns without any fear of being judged. For example, you should handle the victim of an accident and the driver of the car that caused the accident with the same amount of professional care. Be proactive in taking instructions from doctors and deliver efficiently on the tasks you are entrusted with. Be compassionate and strike a chord with children and elderly individuals by engaging in pleasant conversations with them. Make them feel relaxed and help them undergo the treatment without prolonged stress. Communicate gently with patients and help them understand the treatment and the medication procedures by translating medical terms into layman’s words. Maintain healthy working relationships for smooth transactions of information, products, and services. Certification programs expose medical students to industry best practices. 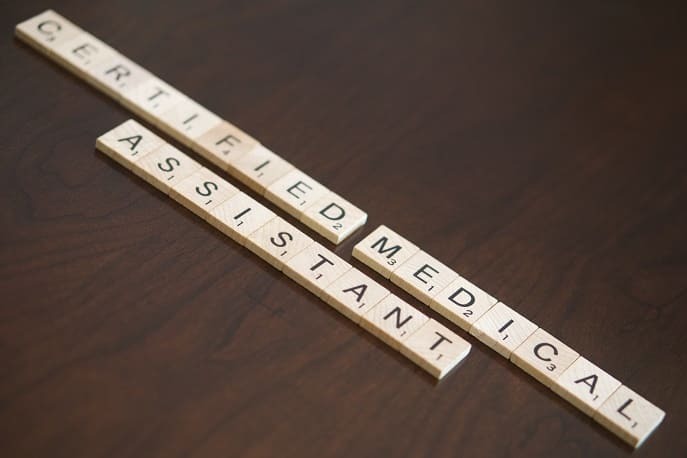 It is advisable for aspiring medical assistants to prepare for certifications and equip themselves with the knowledge and skills that add value to the employers’ medical practices. Specializations such as administrative medical assistant and clinical medical assistant are good options to pursue for better and well-paying career opportunities. Hands-on training will make it easier for you to adapt to a new job and you can provide effective assistance to the doctor by using your knowledge and skills that have been validated and certified. To stay competent, medical assistants must go beyond merely following instructions given by the doctors. Practitioners can contribute substantially towards medical practice by using logic and rational reasoning to identify alternate solutions and approaches for patient care and administrative issues. Develop skills to recognize issues and find feasible solutions that can be applied. Showing deeper involvement in the tasks assigned to you will show the doctors that you are ready for bigger responsibilities. Participate in problem-solving and decision-making and provide rational data to support your suggestions. Achieving higher responsibilities from your manager is a great sign of growth and you can train for critical thinking to sharpen your rational thinking ability. To stay ahead of the competition imposed by huge chunk of professionals, one must be willing to perennially learn and develop new skills that bring value to employers, thereby enhancing personal and professional growth opportunities. Self-imposed discipline and the need to learn and keep up with the market trends can help one to swiftly rise and explore new horizons. Build your career with knowledge and experience gained from credible sources.